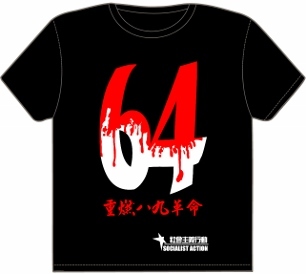 “NPC Doesn’t Represent Me!” – Mass resistance against one-party dictatorship is the only way forward! The National People’s Congress (NPC) Standing Committee’s framework for upcoming elections in Hong Kong delivers a brutally clear message that free elections are not an option under China’s one-party (CCP) dictatorship. Not only has the ‘door been closed’ on universal suffrage, Beijing has slammed it shut! The Standing Committee’s ruling brushes aside popular demands for democratic elections by insisting only pro-CCP candidates – vetted by a regime-controlled nomination committee – can run for the post of Chief Executive. The decision has met with anger, shock, even grief and a sense of betrayal in Hong Kong. For the democracy struggle to go forward a massive campaign is now needed to provide a channel for the anger in society. This campaign must encompass strike action, occupations, boycotts and other forms of mass civil disobedience. The nomination procedures for the 2017 Chief Executive election laid down in this decision are actually more restrictive than the existing system by which CY Leung was ‘elected’ with less than 700 votes in 2012. Beijing’s decision is “more undemocratic than I could imagine,” confessed legislator Ronny Tong Ka-wah. These are the words of a ‘moderate’ pan democrat, who launched a failed ‘compromise proposal’ drawing strong protests, including from Socialist Action (CWI in Hong Kong), for its abandonment of democratic principles. It is not only the content of the decision that is significant, but also the strident tone that accompanies Beijing’s ruling. Zhang Dejiang, of China’s ruling Politburo Standing Committee, said the regime is “psychologically prepared” and can deal with incidents of unrest in Hong Kong. A massive black propaganda campaign against pro-democracy forces and the Occupy Central (OC) campaign, which Beijing has branded “illegal”, has reached a crescendo in recent weeks. With the NPC’s ruling, regime spokesmen have noticeably shifted to stressing ‘national security’ and an alleged plot by foreign powers to subvert China by democratising Hong Kong. This is a claim that has no basis in fact, as shown by the ‘business before human rights’ policies of the US and British governments for example. Chen Zuoer, a former deputy director of Beijing’s Hong Kong and Macau Office, said the dictatorship’s insistence that only “patriots” (i.e. CCP supporters) could compete for the top office was no different from blocking a “terrorist” from governing a US state. Speaking on RTHK radio, Chen warned the Occupy Central movement would “end in bloodshed” – the latest of many similar warnings from CCP officials. The Global Times, a CCP mouthpiece, made clear the strategic thinking behind the NPC’s hard line stance, saying that a showdown was now inevitable in Hong Kong, and that the Chinese regime along with its Hong Kong appendages had the “resources” – a reference to the forces of state repression including PLA troops – to deal with a crisis. The Standing Committee’s ruling amounts to a declaration of war on Hong Kong’s democracy movement. The regime seems to have calculated there is no further value in its previous charade of ‘dialogue’ with the city’s bourgeois democratic opposition leaders (pan democrats) and that it must show a firm hand to reassert its authority over the city. Perhaps it calculates that while some protests are inevitable, it can contain them and inflict a defeat on the pan democrats to push back the democracy struggle in Hong Kong, and therefore also in China. These moves also undoubtedly reflect the deepening crisis inside the Chinese state, where a power struggle is raging. CCP leader Xi Jinping needs to demonstrate his ‘strong man’ credentials. 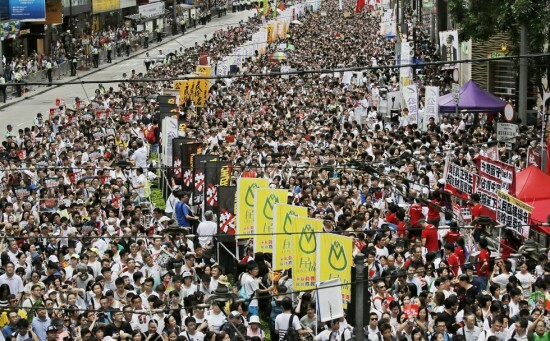 Over 500,000 marched against fake elections on July 1 – Socialist Action stall on right of picture. Beijing is not only attempting to stop the clock on Hong Kong’s democracy struggle, but to turn the clock backwards, a process that has already begun with more brutal police tactics against protesters, attacks on media freedom, and the funding and mobilisation of pro-regime ‘volunteers’ to harass and intimidate pro-democracy protests. The launch of the anti-Occupy Central movement is one example of this, although most of the 70,000 or so people on its march last month were paid to attend – such ‘mercenaries’ are never a reliable force in any conflict. If the regime succeeds with its current counter-revolutionary push, it will attempt to resurrect the hated ‘Article 23’ national security legislation and impose other shackles on the city’s political scene. The most recent events therefore pose a serious, historic challenge to the democracy struggle in Hong Kong and China. A swift and powerful response is needed – a protest campaign of massive dimensions – to reject the NPC Standing Committee’s ruling and hit back against the CCP’s demonisation of Occupy Central and the wider democracy movement. But for this fight back to succeed, important lessons must be learned from the recent history of the struggle, which has exposed major weaknesses in the programme and strategy of the pan democratic leaders, who favour compromise and piecemeal reforms while wishing to avoid mass struggle and an explicit challenge to the rule of the dictatorship. This includes the leaders of the Occupy Central movement, who are close politically and tactically to the ‘moderate’ pan democrats. The OC leaders’ repeated postponements, which amount to a demobilisation of the movement based on the hope of dialogue with Beijing and the Hong Kong government, have not persuaded Beijing to ‘leave the door open’ for talks. Instead, valuable time has been lost for building the kind of mass movement the situation demands. For the CCP, however, the mere threat of an occupation conjures up memories of 1989 – a crisis in which it came close to losing power. The supporters of Socialist Action have consistently criticised the timid approach of OC leaders and the long delay in starting Occupy Central. We have stressed that in order to win – to defeat the dictatorship and not merely make a symbolic protest – occupation can only serve as a springboard to escalation, in which the question of strike action, by students and also by workers, will be a decisive element. This must be linked to building mass organisations, especially fighting trade unions and a mass party of the working class – to give the democracy struggle economic muscle and political leadership. 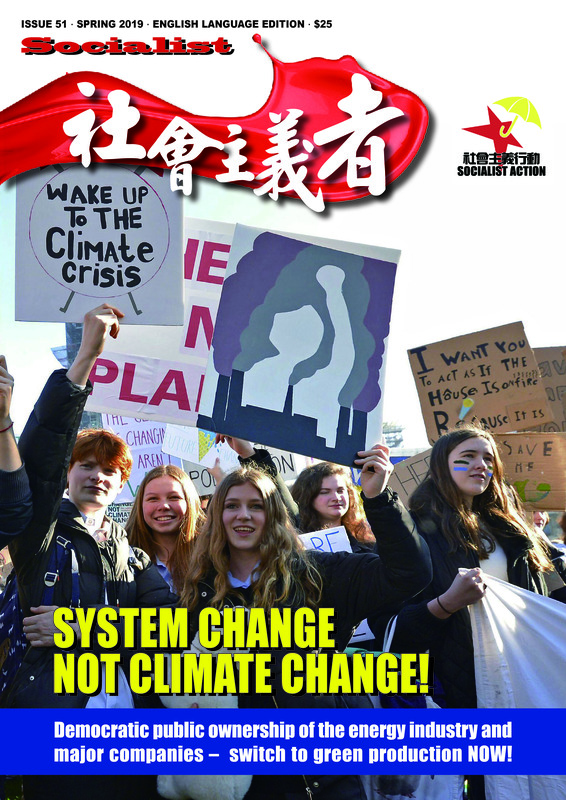 A socialist and anti-capitalist orientation that links democratic demands to the need to eradicate Hong Kong’s deepening poverty, excessive work hours, and extreme housing costs, is the key to widening the movement not just inside Hong Kong but also gaining an echo among the Chinese masses. Some very revealing statements have been made by CCP officials explaining that the nomination committee and vetting of candidates is needed to “protect” Hong Kong’s billionaire tycoons and their interests. “A small group of people, a small group of elites … control the destiny of Hong Kong… That’s a reality,” said Wang Zhenmin, dean of the Tsinghua University School of Law in Beijing, in defence of the elitist composition of the nomination committee at a forum in Hong Kong. The capitalists’ hostility towards democracy is shown by public attacks on Occupy Central – towards any challenge to the CCP’s undemocratic rules in other words – from Hong Kong corporate leaders but also from the local chambers of commerce of Canadian, Indian and Italian capitalists among others. “We have been cheated again and again, democracy has been postponed again and again,” said former Democratic Party leader Martin Lee, expressing a commonly held view among people in Hong Kong. Socialist Action has consistently warned the CCP regime could not be trusted to honour its previous vague assurances to allow the introduction of universal suffrage. It is absurd to expect a dictatorship to organise free and fair elections. Unfortunately, it is just this premise that the pan democratic leaders have based their strategy and policy upon. Throughout history, democratic rights have only ever been achieved – directly or sometimes indirectly – as a result of revolutionary struggle against autocratic rule. In most of Europe, universal suffrage was not introduced until after the victory of the first workers’ government in the Russian Revolution of 1917, which forced ruling capitalist elites across Europe to make democratic concessions out of fear they too would be consumed by revolution. What’s needed today is a strategy to defeat the one-party regime, a strategy based on mass struggle in Hong Kong but crucially also in mainland China. Without such a struggle, turning especially to the vast super-exploited working class of China, Hong Kong’s democratic aspirations will not be achieved due to the ‘asymmetric’ nature of this conflict. The Hong Kong ‘nativists’, who have grown by feeding upon frustration with the lack of struggle from the pan democratic leaders, have not understood this reality. Whereas the ‘moderate’ pan democrats believe Hong Kong can strike its own compromise with the dictatorship, the nativists believe Hong Kong can confront the dictatorship on its own. Both repeat the same basic mistake but in a different guise, of refusing to see the powerful antagonism between the Chinese elite and the working masses. The nativists’ racist ideas are a serious obstacle to building a unified mass movement against the dictatorship, which is the only road to victory. At the same time, the NPC ruling and Beijing’s hardline stance will inevitably lead to increased popular support for the idea of “genuine autonomy” and even for independence from China, a mood the nativists exploit. By giving the CCP’s empty promises of reform greater value than they merit, the ‘moderate’ pan democratic leaders have helped the CCP regime perpetrate its confidence trick in Hong Kong. This has happened “again and again” as Martin Lee has admitted. For the movement to go forward it must abandon such illusions in the CCP’s willingness or ability to make democratic concessions. This process – the end of illusions – has taken a huge leap forward after the NPC ruling, at least among grassroots activists, workers and youth. The reason for the CCP’s inflexibility, which at first sight seems contradictory (concessions to the democracy movement would win the regime some credibility at least for a time) is its fear that any future Hong Kong administration that is not fully under its control could set off shockwaves across China, potentially threatening the dictatorship’s survival. The CCP’s strategy in Hong Kong, using a carrot-and-stick approach, has been to foment a split in the pan democratic camp by terrifying its leaders over the consequences of “extreme” acts such as Occupy Central. The regime had hoped, although perhaps this has now changed, that the ‘moderate’ pan democrats’ innate fear of mass struggle, and specifically their fear that a mass occupation movement could develop out of their control, would pressurise the required four or five pan democratic legislators to split and vote for the government’s plan in Hong Kong’s legislature (that vote will take place in the middle of next year). This scenario is still not excluded, despite statements by leading Democratic Party figures (the most likely to defect to the government’s side) expressing horror at the Standing Committee’s ruling. “It is the worse scenario I can imagine,” confessed Ip Kin-yuen, a legislator from the Professional Teachers’ Union and prominent ‘moderate’. Democratic Party leader Emily Lau Wai-hing said the decision made people “nauseous”. This, however, is a recipe for massive discontent, further radicalisation of the democracy struggle, and a deepening governance crisis. If on the other hand Beijing’s framework is approved (with the help of pan democratic defections) the outcome could be a massive boycott movement in 2017 against the “fake election” involving staggering levels of blank votes. Professor Benny Tai, spokesman for Occupy Central campaign. The ‘moderate’ pan democrats have been thrown into a state of shock and deep pessimism by the outcome – completely unforeseen by them – of the Standing Committee meeting. But shock does not necessarily lead to a rethink, although at the time of writing the pan democratic leaders are under massive pressure from within society to condemn the NPC decision. The dictatorship’s policy is causing a very sharp political polarisation, with the so-called ‘middle ground’ being squeezed. 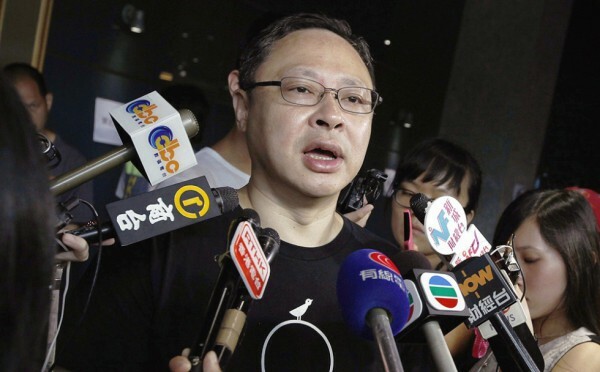 “I do not see a future for moderates in Hong Kong politics,” was the very telling comment made by leading moderate Ronny Tong Ka-wah of the Civic Party. In coming months the CCP will step up its psychological pressure on these politicians, to forestall a “historic crisis” by voting for the government’s election model. This will be based on the threat that if its plan is vetoed, as the pan democrats now threaten, Beijing will block future modifications of the system for many years to come. Only massive pressure from below can insure that the ‘moderates’ do not, despite their fiery speeches today, eventually break ranks – as happened in 2010 – and enable the government’s plan to pass. A campaign to solidify the veto should be launched immediately, to build mass pressure upon the ‘moderate’ legislators to sign a pledge to this effect. Radical forces, most notably ‘Long Hair’ Leung Kwok-hung of the LSD, want to initiate a new version of the ‘de facto referendum’ as happened in 2010, with resignations from the legislature to trigger by-elections across the city. If this is linked to a genuine mass campaign from below, to maximise pressure on the ‘moderates’ to reject the fake election model, it can serve as an important platform for the struggle. While many activists and especially youth had hoped and assumed the NPC ruling would be the start signal for occupation, OC leaders have not acted on this in yet another sign of their hesitancy in the face of struggle. Benny Tai Yiu-ting of OC now speaks of a “continuous and long-term” civil disobedience campaign. This is not in itself an incorrect idea, but there is a danger such statements are a cover for further inaction. Staggered, partial protests will only dissipate rather than build upon the current mass anger. This is unfortunately the implication in the rather vague idea of “waves of struggle” now being put forward by pan democratic and OC leaders. Socialist Action have never put forward occupation as the only or main tactic for the mass struggle. From the inception of OC we have argued occupation can be a launching pad, but more effective methods of mass action are needed such as strikes, starting in the schools and colleges, and then turning to the working class. We also explained that an indefinite occupation can be difficult to sustain. Our arguments are based on the actual experience of mass ‘Occupy’ movements in the US, Spain, Greece and other countries. An extremely positive development in the current deliberations within the democracy struggle is that more and more groups, now including the main student federation in Hong Kong, have begun to take up the idea of strikes by university and school students. This is something that Socialist Action has long campaigned for. A well-organised citywide school strike could become a powerful pointer of the way forward. While workers’ organisations are historically weak in Hong Kong, and workers’ strikes are rare, the example of the youth can act as a spur also in the workplaces, which is a key to winning this struggle. Socialist Action are campaigning actively at universities and schools to build for the strike, to stress the need for organisation, strike committees, and collective action. This is in contrast to individualised classroom boycotts or top-down faculty-led protests as proposed by some sections of the movement. They see this as an ‘easier’, less confrontational method, while in fact the success of the struggle depends on mass action and the building of democratic and fighting organisations in every campus and workplace. The NPC ruling opens a new chapter of the democracy struggle in Hong Kong and China. It is characterised by the crushing of illusions, the undermining of the ‘compromise’ camp, and sharp political polarisation throughout society. Elements of both revolution and counterrevolution are evident in this situation, which cries out for the creation within the democracy struggle of a mass working class party combining democratic demands with a programme to overthrow corrupt and dictatorial capitalism.